Fundraising with photos: We are selling 5" x 7" photo cards utilizing photos taken by our club members, as a fund raiser for the club, for the second year. Photo cards are available in packs of 4 for $10 per pack. This year there are eight different variety packs from which to choose. In addition, there are single cards available for $2.50 each. They will be available at all of the Club’s fundraising events, as well as at the meetings. Note: Only a few packs are left from the 2017-2018 year. Fundraising at Isaac's: As has been our usual practice, there will be another Isaac's fundraiser on Wednesday, May 22 (the day after the Primary election). As long as you have one of the forms (copy attached), you can go there anytime from 10 a.m. to 9 p.m. Please spread the word to friends, co-workers, and family. Fundraising Yard Sale Planned for May 4, 2019: A yard sale is planned for May 4, 2019 as a fund raiser and will be held at Kathie Hoke’s residence 86 Springers Lane, New Cumberland. There is plenty of yard for everyone wanting to participate to set up your own table with your wares to sale. Hoping for a sunny warm day and a good time with friends and neighbors. Christmas Project: The wish lists for our Christmas families were fulfilled and Christmas family presents were taken to Fishing Creek and Fairview elementary schools. Thank you to club members for their overwhelming generosity. Box Tops for Education: Box tops will be collected at each meeting for Newberry elementary. Children's Books: The club will be collecting children's books at each meeting for the book mobile for WSSD. At the end of 2019 school year, the folks go to the grammar schools and the children can have some free books for summer reading. Diaper Bank: Collections were made by club members and through collection boxes at the Red Land Community Library for donation to The Diaper Bank. Fundraising - Plays at Oyster Mill Playhouse. Here are the plays for 2019: January 27, 2019 Mousetrap and November 10, 2019 Oliver (a musical). The tickets for Mousetrap are $20.00 each and for Oliver, $25.00. This is a great fundraiser to help support our community. Agatha Christie Mystery. The scene is set when a group of people gathered in a country house cut off by the snow discover, to their horror, that there is a murderer in their midst. Who can it be? One by one the suspicious characters reveal their sordid pasts until at the last, nerve-shredding moment the identity and the motive are finally revealed. The Mousetrap established Agatha Christie as a playwright in the public eye, and since its debut in 1952, has broken records in London’s West End. Running continuously for over 60 years, it has become the longest running play in the history of London’s West End. Members of the Red Land Area Women's Club Conservation Committee weed and plant new flowers at the signs of the Red Land High School and Fishing Creek Elementary School as part of their spring beautification projects. Conservation - The RLAWC Conservation Committee began a new project in the fall of 2012 by landscaping and maintaining the land by the entrance signs for both the Fishing Creek Elementary and Red Land High Schools. Areana Collins-Rubertone - attending Misericordia University to study nursing, with plans to become a midwife. Colton Henline - attending University of Central Missouri to study aviation, with the goal of becoming a commercial pilot. Maitland Witmer - attending Dickinson College to study biochemistry. Maitland hopes to go into pre-med and specialize in senior and geriatric care. Congratulations and best of luck to the Class of 2018! The 2019 Arts Festival was held on Monday, March 18, at the Red Land High Community Library. Habitat for Humanity Update: Each month, Red Land Area Women's Club Members serve lunch to workers of Habitat for Humanity of the Greater Harrisburg area. This is a very successful effort and the workers are delighted to be served their favorite barbeque sandwiches, chips, fruit, and drinks. This is a very worthwhile endeavor. On Thursday, November 13, 2014, Sheila Parker, Becky Collins, Marianna Wood, and President, Judy Crocenzi attended the dedication of a house built by Habitat in the Harrisburg area. Thaikia Reid and her family were given an American Flag and holder from the club to fly proudly. Nina Myers from the Red Land Food Ministry gave a thought-provoking presentation at September's meeting on all the services that are provided by RedCAP. 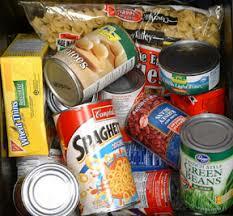 For years, our Club members have been bringing donations of canned and boxed foods to the Redland Food Ministry. While the food ministry is grateful for the donations, they do have partnerships with local grocery stores and with the Central Pennsylvania Food Bank; they also have a grant that can be used to make purchases of food items not given otherwise. RedCAP is so much more than just the food ministry and is always in need of financial support. The other services such as energy assistance, GED classes, and referrals to other agencies to receive clothing, furniture or for information on medical care, housing, and other services have neither strategic partnerships nor grant money that they can call upon. Monetary donations from the local community are vital for the survival of this mission. It was decided at September's meeting that for the 2016-2018 Club term, we are encouraging members to give a monetary donation at any or all of the meetings. This will be in lieu of food donations and Toys for Tots. There will be a box where donations can be anonymously placed; the money will be deposited into the Club's account and a check will be written to RedCAP. Please consider giving what you can to help RedCAP with their mission of helping the less fortunate in our community move toward self-sufficiency. If you are able to supply any of these items, the seniors would be most appreciative. Remember, if you donate any food item, please check the date first to make sure it has not expired and that seals are intact. If you wish to make a donation, but cannot get to the center, give your items to Lois for delivery. In March, the RLAWC collectied items for Friends & Neighbors, a local non-profit serving our area. They provide assistance with home heating oil costs, home repairs, immediate needs, and coordinate resources in the community. Thanks to the generosity of club members, more than a full box of household goods, personal care items, grocery gift cards and a check for the heating fund was delivered to Friends and Neighbors. They were most appreciative of the club's assistance in their mission of serving the needy in our community. In March, four RLAWC club members traveled to Mechanicsburg to Mission Central to do a service project for Haiti. Health kits were assembled consisting of a hand towel, washcloth, cake of soap, toothbrush, comb and nail file. All these things were rolled together and put in a one gallon plastic bag. Mission Central had already sent four trailer truck loads of kits out before we went there. Can you imagine how many gallon bags you can fit in a trailer? A tour of the Mission Central facility was given. Everyone was amazed at all the things that go on in that warehouse and almost everything is done by volunteers. Bethesda Mission has a corner of the building, and New Digs Ministry has another corner. New Digs collects all type of household goods to help people set up an apartment when they have nothing to start with, perhaps a fire or getting out of prison or a hospital. When things are donated, what one group can’t use another one will. What a simple, but another awesome way to service not just our community, but those in need around the world!